This classic chiffon cake bakes up tall, fluffy and moist with swirls of grated chocolate creating a marbled effect throughout the cake. The best! Did you grow up with them? Did your mom or grandma always bake them? 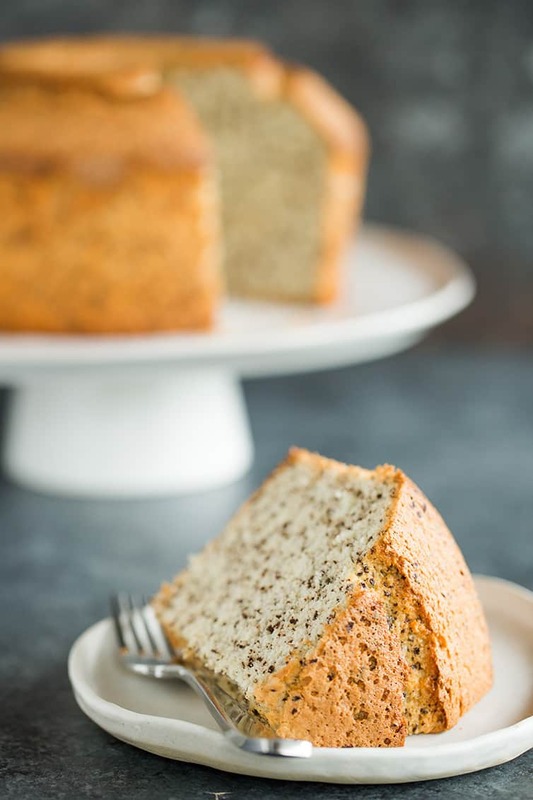 Truth be told, I can’t remember ever having eaten a single bite of a chiffon cake until I made THIS cake. My mom claims that my great aunt used to make a special lemon cake that was either a chiffon or sponge when we would visit her in Kenosha, Wisconsin over the summer when we were kids. I have zero recollection of that cake, but what I DO know is that THIS chocolate chip chiffon cake is all sorts of gorgeous and delicious. 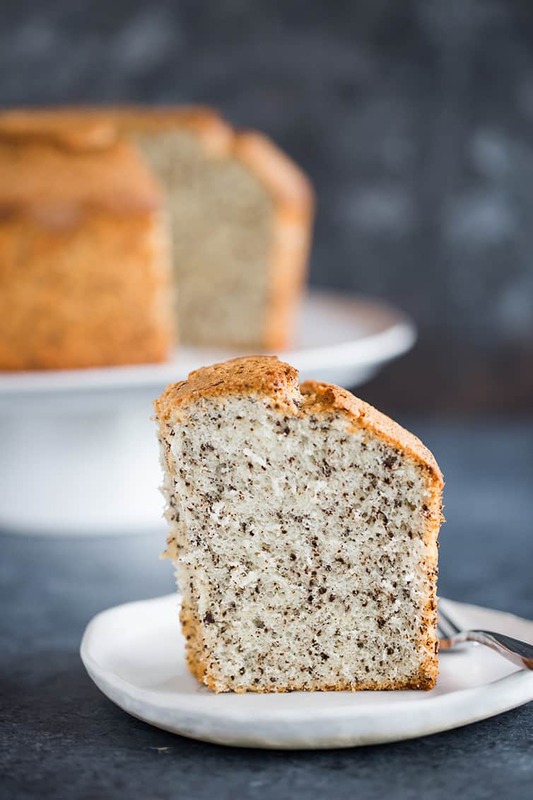 Janice, a regular reader, emailed me last fall asking me if I had ever heard of a chocolate chip chiffon cake because her mom used to make one, but neither she nor her sister could find their mom’s recipe. About six weeks later, she emailed me to tell me she had found her mom’s recipe and shared it with me. I was intrigued due to the whole never-having-chiffon-cake thing, but also because of the chocolate chip variation. You don’t actually use chocolate chips; you grate chocolate and fold it into the batter, which creates a gorgeous swirled/marbled effect that I adore! How Do You Make Chiffon Cake? This particular cake is made by first sifting the flour, sugar and baking powder together with salt into a large bowl. Then a well is made in the center and the vegetable oil, egg yolks, water and vanilla extract are added. 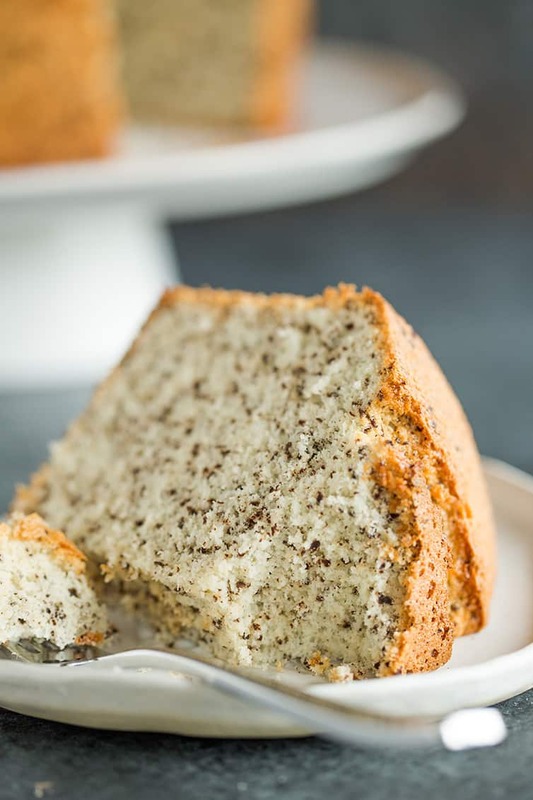 (If this were a plain chiffon cake recipe, versus chocolate chip, I would have loved to use vanilla bean paste instead of extract for gorgeous flecks of vanilla bean throughout!) The oil, yolks, water and vanilla are whisked together in the well, and then gradually whisked into the dry ingredients to form a smooth batter. Next, 1 cup of egg whites (I needed about 7.5 egg whites) is whipped into a meringue with cream of tartar, and then the egg yolk batter is VERY GRADUALLY and GENTLY folded into the egg whites. I was highly suspicious of this method, always having done this in reverse – fold the egg whites into the batter – and was convinced the whites would deflate and my cake would end up squat and dense. But… it worked! Just be super patient and only fold in a small amount at at time. Finally, for this particular recipe, the grated chocolate is gently folded into the finished batter, then baked in a tube pan and cooled upside down (this ensures that the cake maintains its volume and does not collapse). 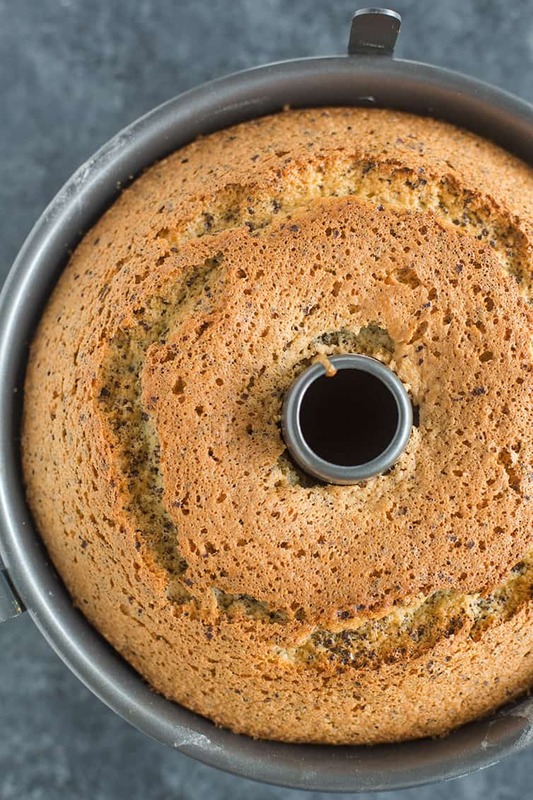 Do You Have to Use a Tube Pan to Make Chiffon Cake? A tube pan is a specialty pan that is used for chiffon cakes and angel food cakes. The tall sides and inner tube allow the cake to “climb” the pan and cling to the sides while it bakes (which is why you never grease these pans!). Perhaps even more important, however, is the “feet” you see on a tube pan; these allow the cakes to cool upside down without the top of the cake touching the counter or a cooling rack. This is vital in ensuring that the cakes maintain their volume and do not collapse. 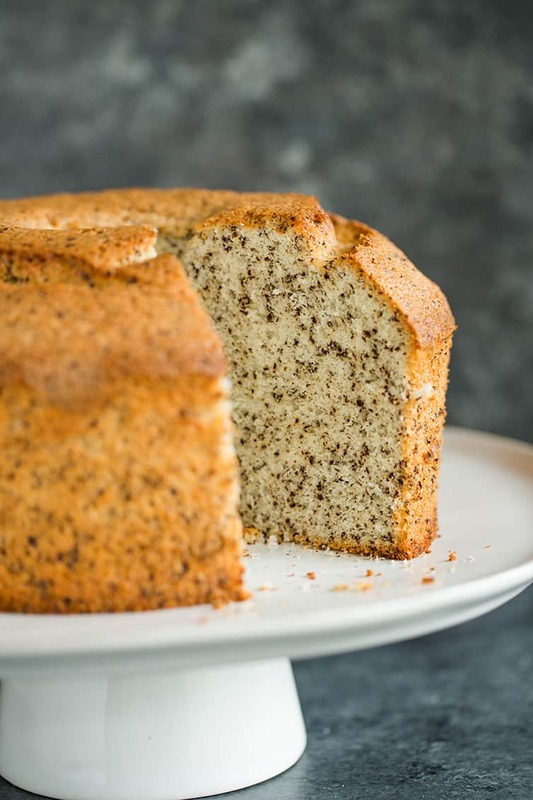 Baking a chiffon cake in a traditional cake pan or Bundt pan will unfortunately not work; the cake will fall. What is the Difference Between Chiffon Cake, Sponge Cake and Angel Food Cake? 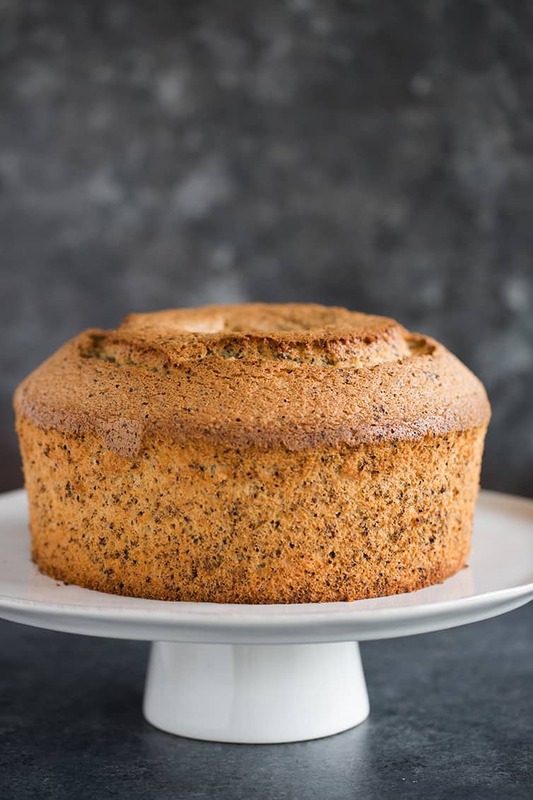 Chiffon cake sets itself apart from other cakes in that it uses vegetable oil as its fat source, as opposed to butter, which keeps it incredibly moist. In order to get that amazing volume, the eggs are separated and the whites are whipped into a meringue, then combined with the rest of the batter. Angel food cakes use no fat at all and no chemical leaveners; they rely only on whipped egg whites that have been stabilized with cream of tartar to give the cake its volume. Sugar is added for sweetness and a very small amount of flour for structure, plus additional flavorings, as desired. A traditional sponge cake, meanwhile, uses butter as the fat, and usually starts with the butter being whipped with the sugar. The eggs are either beaten into the sugar mixture or the yolks are added while the whites are whipped into a meringue and folded into the batter. The flour is typically sifted onto the batter and folded in gently. Can Chiffon Cake Be Made in Advance and/or Frozen? To make ahead, bake the cake and cool completely, then wrap tightly in plastic wrap and keep at room temperature until ready to serve. To freeze the cake, place the baked and cooled cake on a baking sheet or large plate and place in the freezer until completely frozen. Wrap tightly in plastic wrap and place in a resealable freezer bag in the freezer for up to 3 months. Thaw in the refrigerator overnight. Many people swear that frozen and thawed chiffon cakes are even MORE moist than freshly baked ones! If you have ever been intimidated to attempt something a chiffon cake, do not give it another thought! It is so doable and produces such a beautiful result. All you need is a little love and patience (my husband and father-in-law claim to always know when something is made with love!). Thank you so much to Janice for sharing her mom’s recipe! 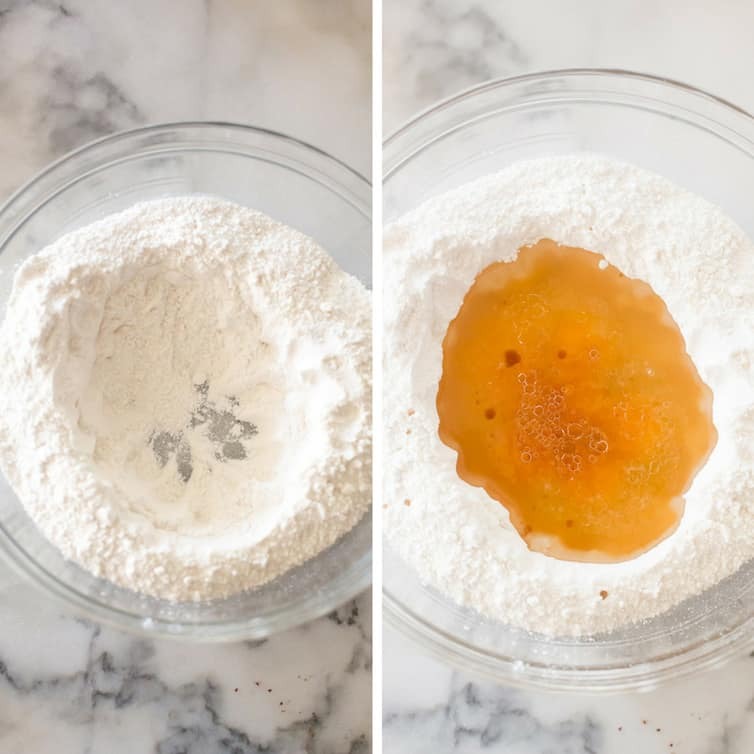 Make a well in the center of the sifted ingredients and add the following, in this order: vegetable oil, egg yolks, water, and vanilla extract. Whisk together the ingredients in the well, then slowly start whisking in the dry ingredients, working from the center outward, until you have a smooth mixture. In a large mixing bowl, beat the egg whites with the cream of tartar on medium speed until frothy, then increase speed to high and whip until stiff peaks form. Pour the egg yolk mixture VERY gently and gradually, a small amount at a time, over the egg whites, folding until completely blended. 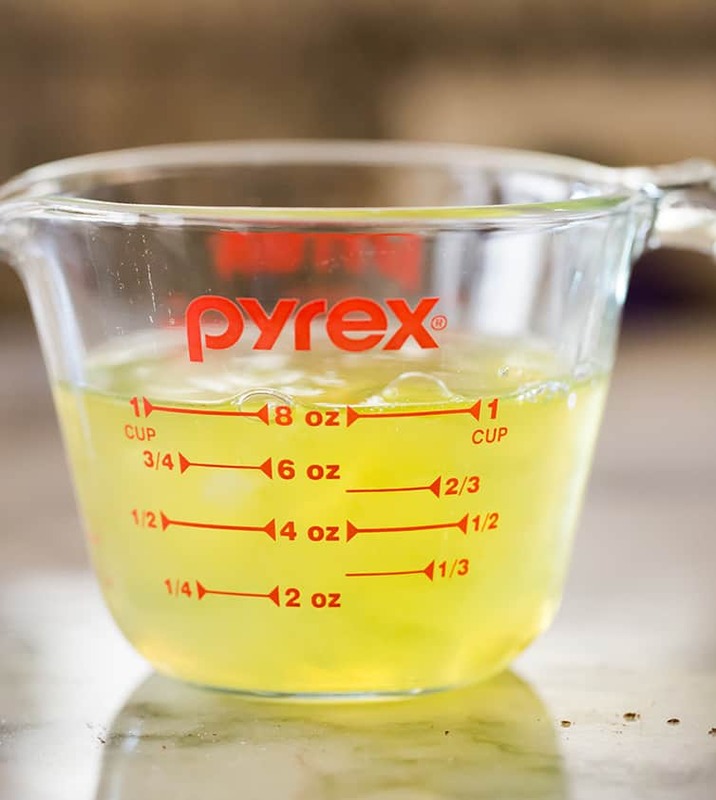 (It is very important to be very patient during this part of the process so you do not totally deflate the egg whites, it can take up to 15 minutes or so to incorporate all of the egg yolk mixture.) Gently fold in the grated chocolate. Pour batter into an ungreased tube pan and smooth the surface. Bake for 55 minutes, then increase the oven temperature to 350 degrees F and bake for an additional 10 minutes. Remove from the oven and cool the cake upside down until completely cool, then remove from the pan and transfer to a serving platter. The cake can be stored at room temperature, wrapped well in plastic wrap, for up to 5 days. I needed approximately 7.5 large egg whites to make 1 cup. Do not substitute regular cake pans or a Bundt pan for the tube pan - the cake will fall. Unsweetened chocolate? Wouldn’t that be too bitter? Would like to make it for New Year’s Eve. Would bittersweet chocolate be too sweet? This came out fantastic and my entire family loved it! I served a warm chocolate ganache on the side and it was a delicious accompaniment. Amazing recipe- thank you!!!! Just made your awesome recipe. It’s still cooling, but I can tell it’s great. Suggestion- use a whisk to fold the yolk mixture into the whites. Really. Works so much better!! Love chiffon cake! I made a lemon one last weekend, using a different recipe, but I added the grated chocolate since I loved the idea. It looks cute but the flecks are so tiny you can’t really taste them, I don’t think I would do it again. 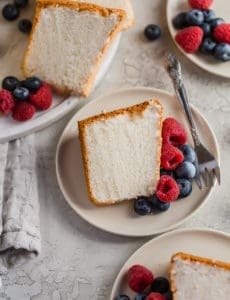 I have also been curious about the differences between angel food cake, chiffon and sponge. Thank you for clearly discussing the techniques for each type of cake. I regularly keep sunflower oil in my kitchen. Can this oil be substituted for the vegetable oil in your chiffon cake recipe? Hi Sarah, I think that should work, although I haven’t tried it. Since you don’t grease the pan, did you have any issues with removing the cake from the pan? Doesn’t look like you did. Is your pan non-stick? 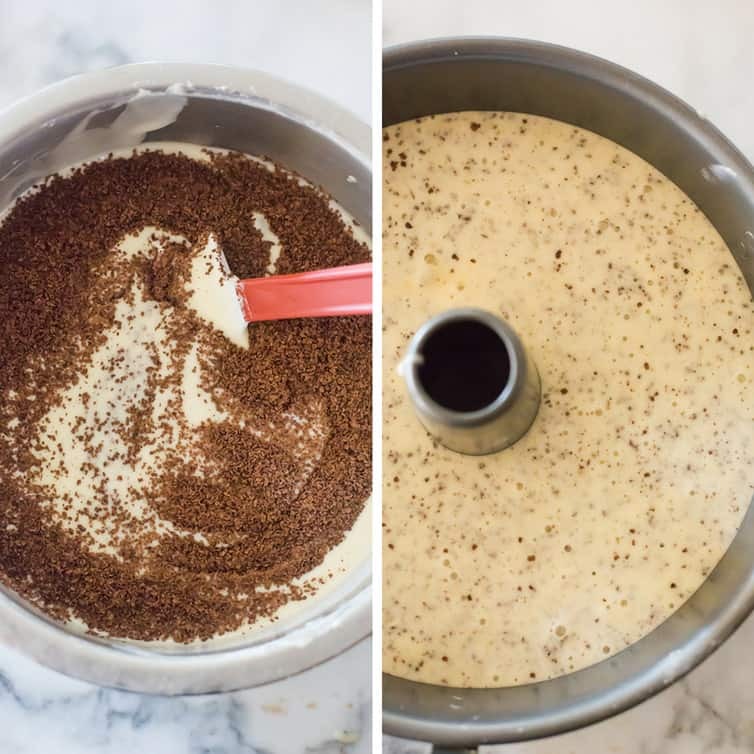 Hi Ann, No, no issues at all, and you NEVER want to grease the pan if you are making an angel food or chiffon cake – the batter needs to “climb” the walls of the pan and if they are greased, then the batter will just slip down and you’ll end up with a dense cake. Yes, my pan is non-stick. What a gorgeous looking cake! 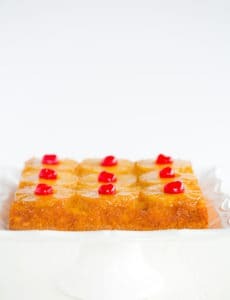 Never have had a chiffon cake, and was wondering the difference between the chiffon & angel food cakes, (and sponge too). Thanks for the detailed explanation of the differences. So appreciated! This would be the perfect companion to homemade ice cream. The recipe I use calls for only the yolks (so I guess this would be frozen custard) which means I have all those egg whites left over. What a great idea for a light summer dessert! Thank you! I can’t wait to try this! One of my favorite cakes is a chiffon/angel food swirl cake. It’s called a Daffodil cake and it’s only made at Easter. It’s light and full of citrus. But I’m a chocoholic, so this is right up my alley! The technique of folding the meringue into the yellow batter is commonly used for Asian cakes. That will yield light tasting cakes. How u whip the meringue is crucial too. It should be stiff/firm peaks and temperature plays a role to give it that good LIFT! Too stiff Meringue will cause the cake to crack on top as well. 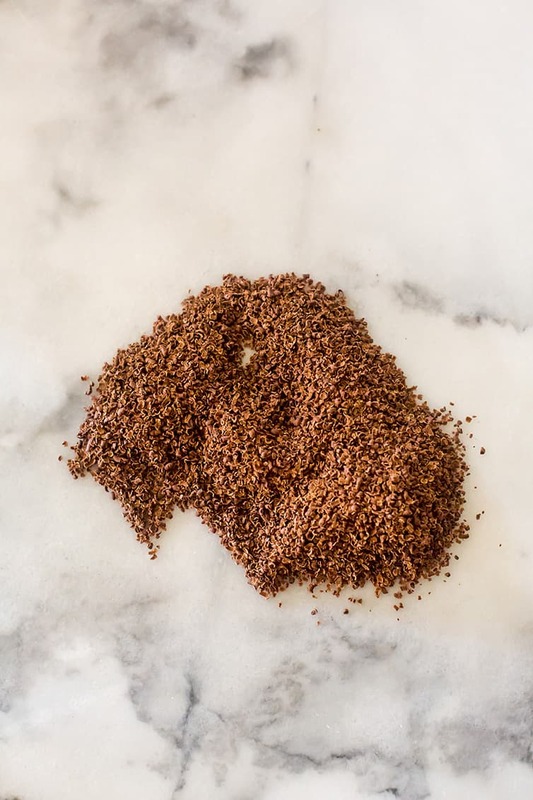 Can you tell us about how much grated chocolate to add? Hi Phyllis, It’s 3 ounces unsweetened chocolate. What kind of chocolate and how much? Morning Michelle, this looks beautiful! Am I going blind or did you not put in the amount of chocolate to grate? Also, do you have any tips on best way to grate the chocolate without getting it all over the counter/myself? Thanks. Chocolate amount and type is last ingredient shown…3 oz unsweetened. Hi Ellen, It’s 3 ounces of unsweetened chocolate. I used the small holes on a box grater. 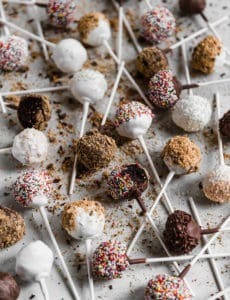 It wasn’t too messy, but doing it on wax paper is always helpful, that way you can pick it up and easily transfer the chocolate into the bowl. Wow! This looks fab! Chiffon cake is a very common sight in bakeries in Singapore, I’ll often grab a few slices from a bakery near my daughters kindergarten and take them home to have with ice cream for dessert. The most popular flavour here is pandan chiffon, but I often see orange chiffon too.